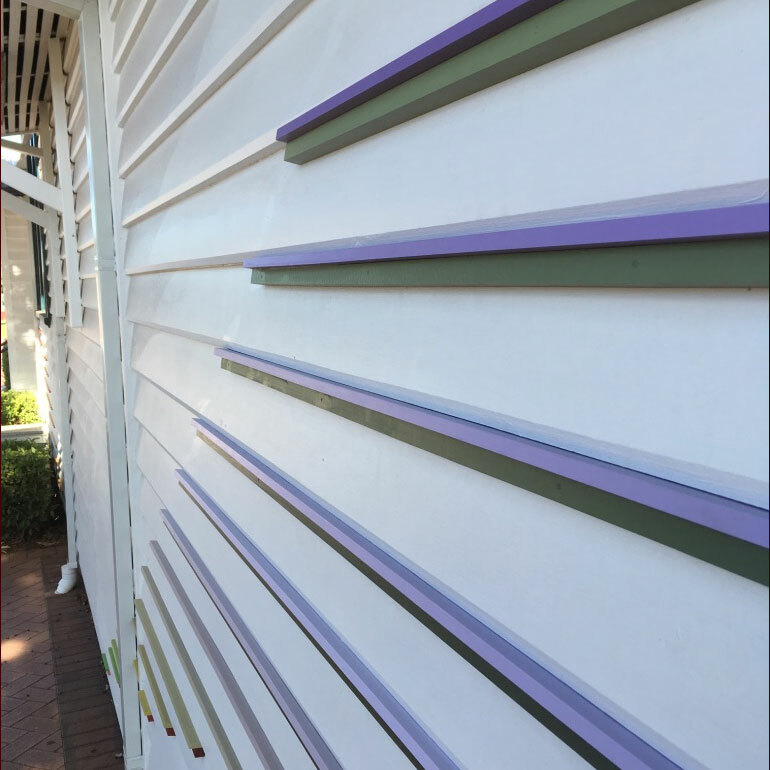 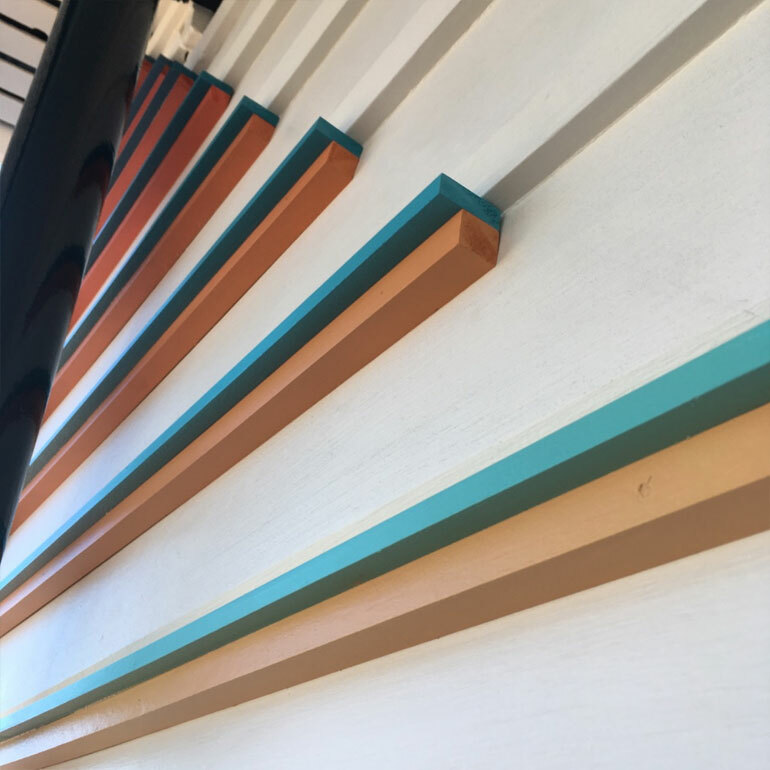 Timber Striations is a public art installation commissioned by Mundaring Arts Centre as part of the rejuvenation building facade program with funding sourced from the Department of Infrastructure – Stronger Communities Grants Program and the Shire of Mundaring. 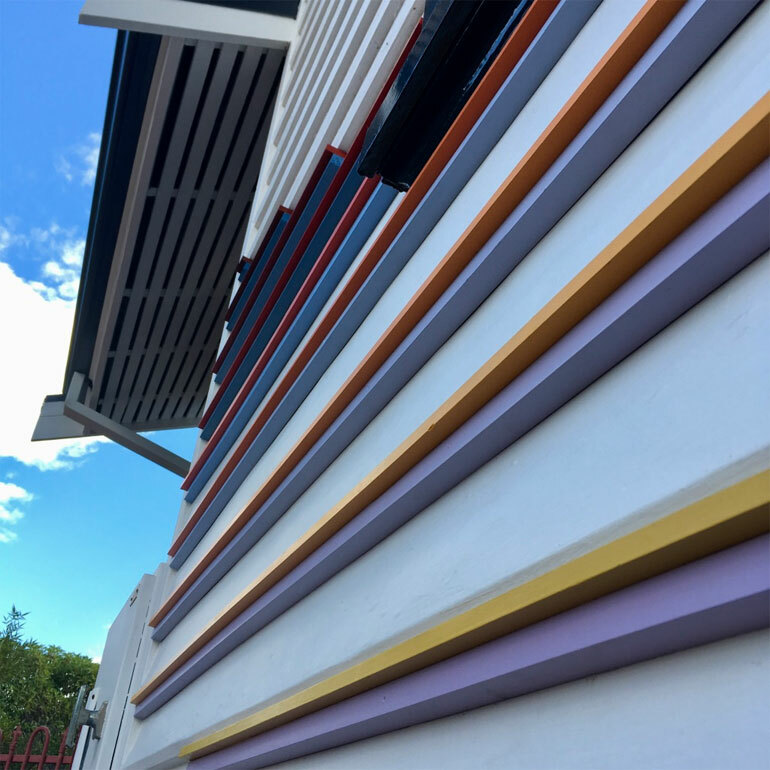 It comprises of individually rendered and measured timber battens which employ ‘colourwaves’ – gradations of colours that weave through and imitate colours in nature giving reflection to the natural landscape of the hills forests in the Perth hills where the centre is located. 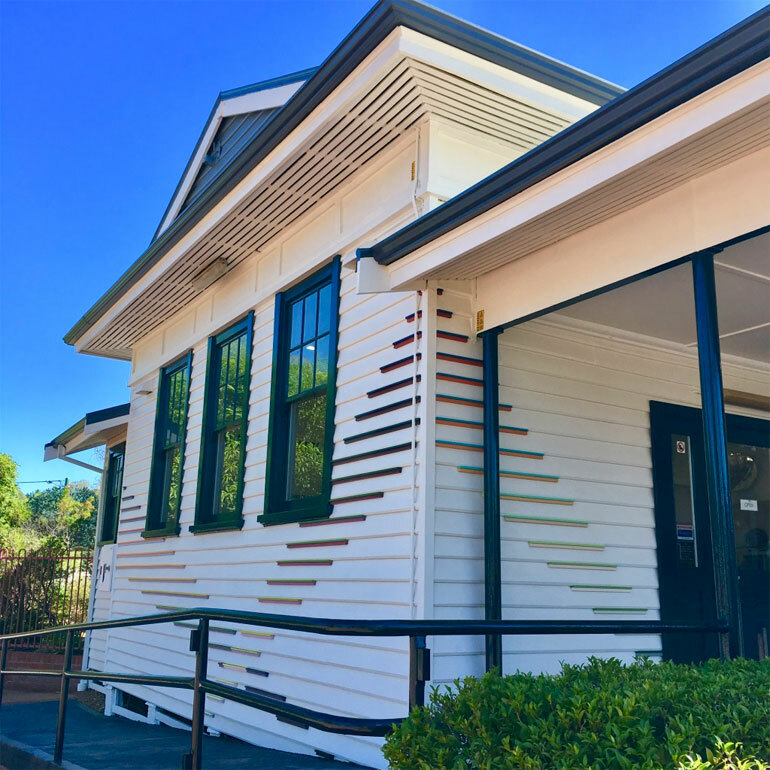 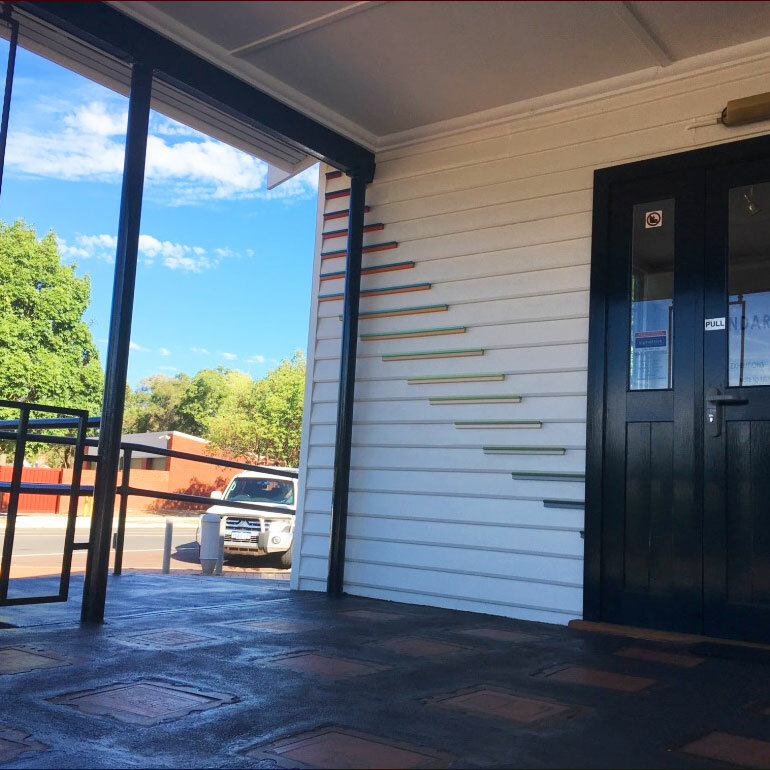 Respecting the architectural horizontal orientation of the existing jarrah weatherboards, the timber battens are placed strategically to provide a graphic visual presence to the facade highlighting the dynamic and creative energy the members of the Mundaring Arts Centre espouse and nurture in their community. 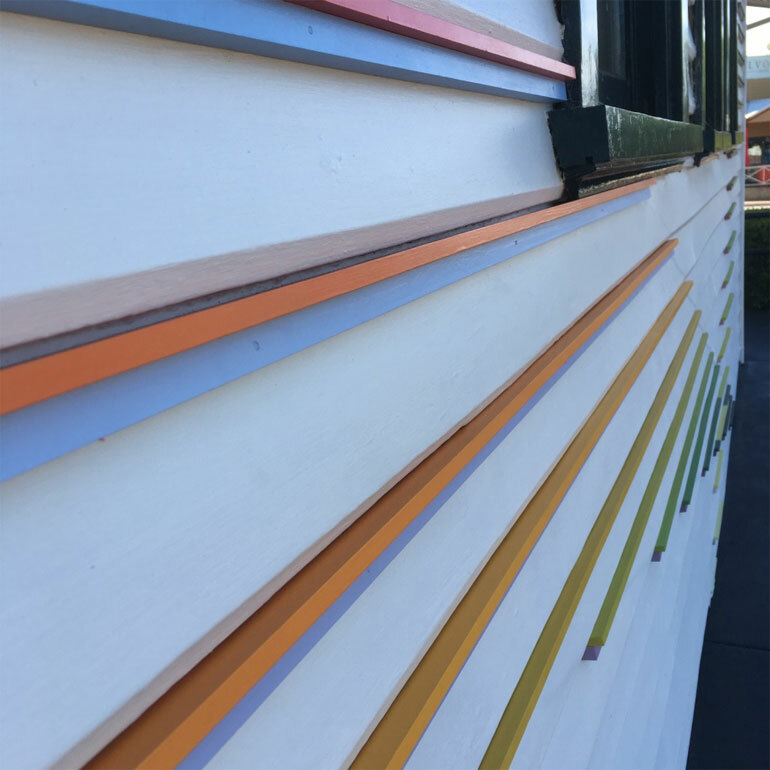 Working with a general set of Taubmans paint palette, each colour was individually mixed and labelled based on its location on the facade. 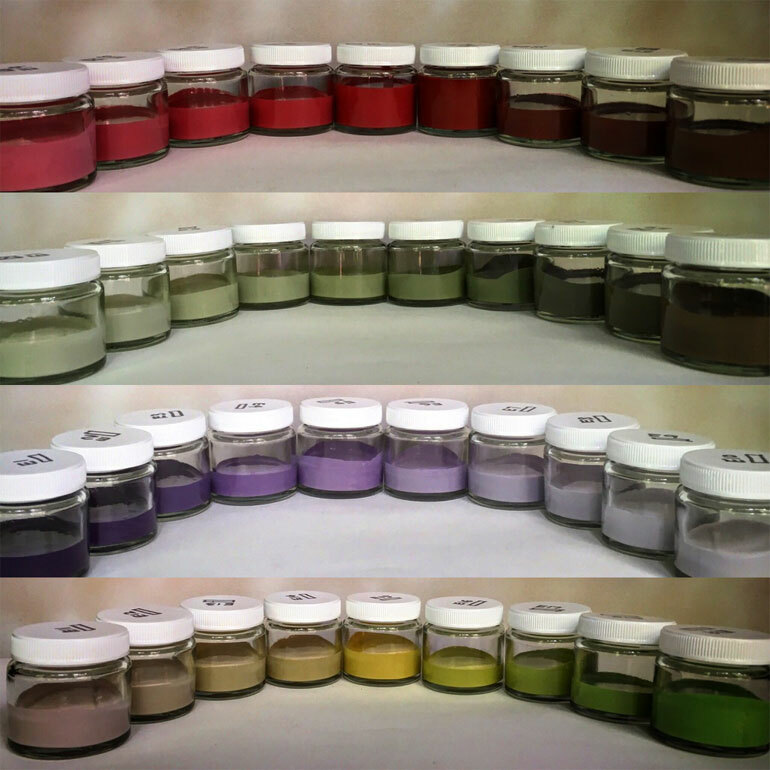 Each colour is then stored into sample jars for future touchups. 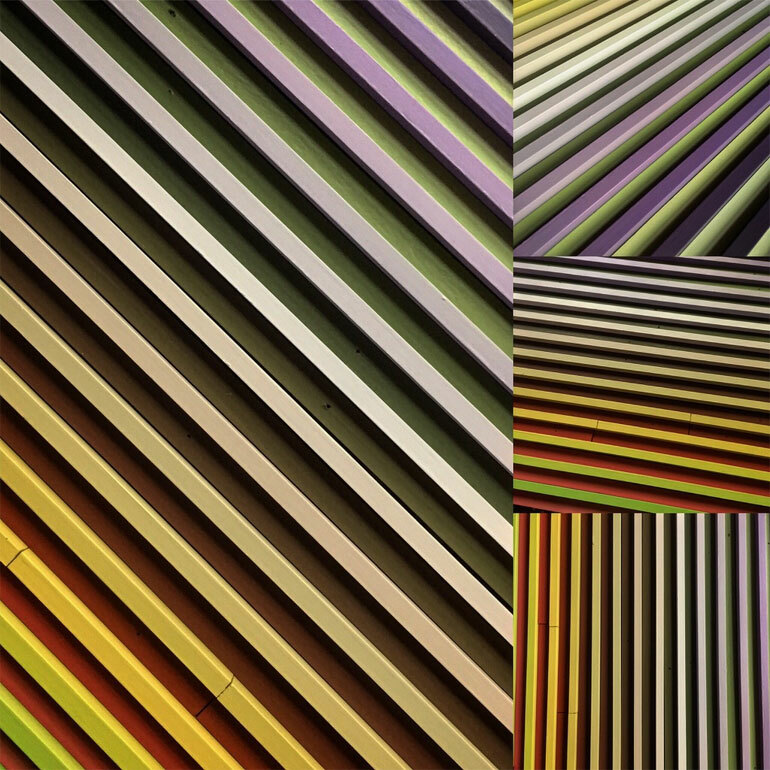 There are over 200 colours. 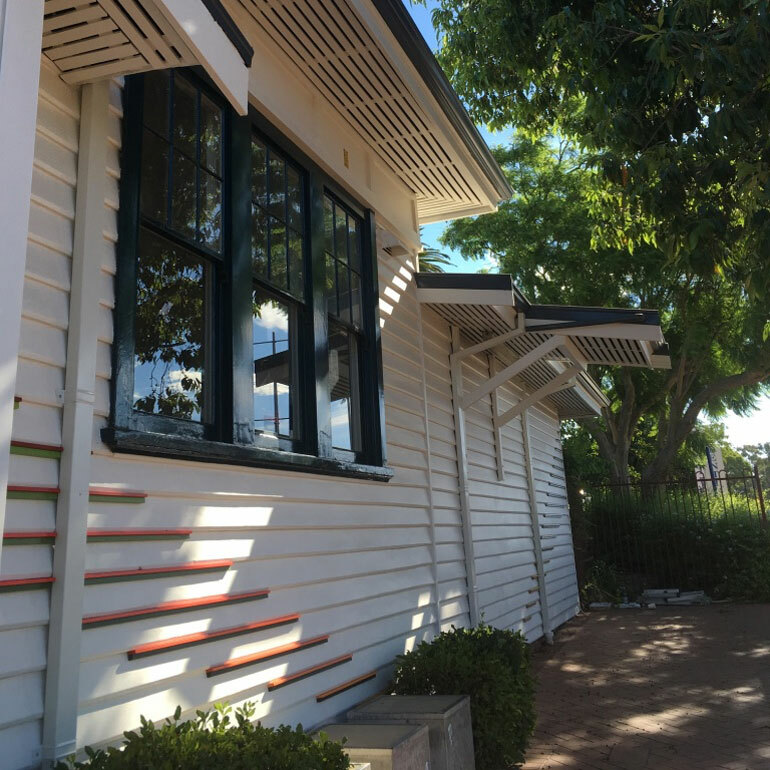 Completed in March 2017. 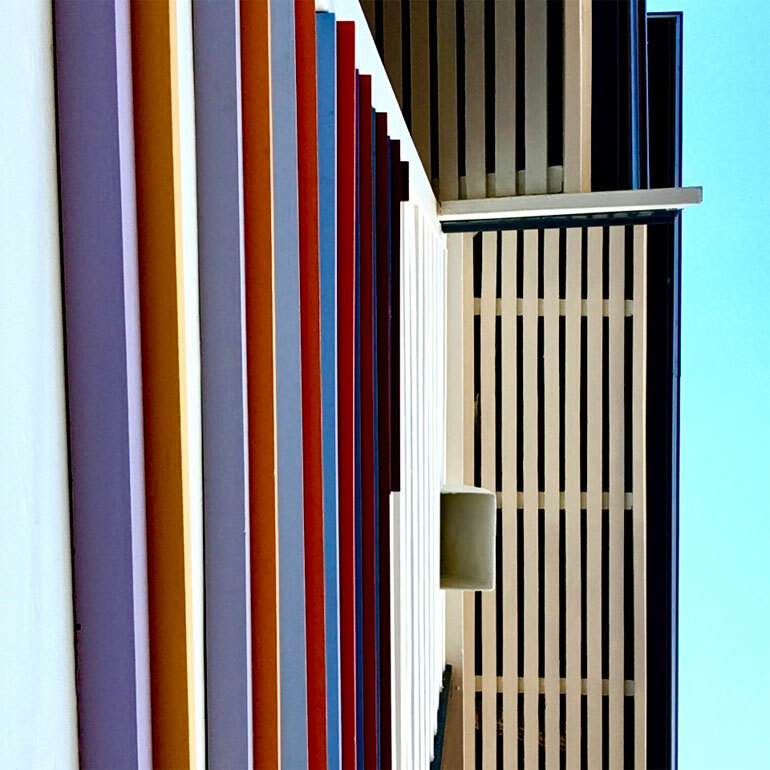 Colour palettes inspired by the colours found in the natural landscape around the Perth hills.